It is now the most advanced technology we have for entertainment and gaming. Allowing us to dive into a world we could have only imagined. 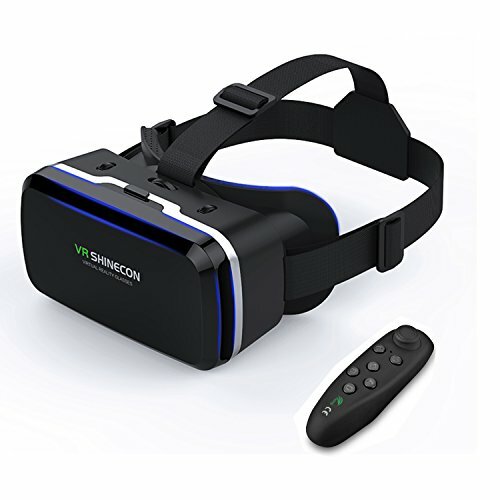 With thousands of ways to use VRKAMXING, it’s the perfect gift and purchase for anyone! Play amazing games, watch every movie you can think of in your own private cinema, connect online with friends and much more. Best of Hollywood Entertainment. Buy and watch hundreds of Hollywood movies & TV shows in Oculus Cinema. In Oculus Video, watch 3D videos including trailers, clips, and your own movie files in a completely new way. You can choose from multiple VR theater environments including a home theater, a huge screen theater, and even the surface of the moon! Compatible with non curved ALL iPhone & android smartphones with from 4.7~6.0 inch. 3.Insert phone correctly :use the card slot to locate the phone,no need to locate when second use. 4.Helmet wearing:Adjust the strap to find a comfortable feeling. 6. If there are two screens firstly,which is all 3D videos features and it needs to wait about 35 seconds into one screen. 7. Choose split screen mode,high-resolution 1080P and large screen smart-phones.